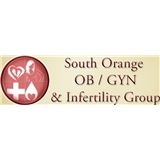 South Orange OB/GYN & Infertility Group (South Orange) - Book Appointment Online! With great pride and excitement, we welcome Dr. Beth Sosin to our practice this July! Our practice is dedicated to providing the best medical care to women of all ages. We offer complete care in Obstetrical and Gynecologic services. You deserve comprehensive and complete attention to all your medical needs, and we strive to provide you with a compassionate and comfortable environment. The greatest compliment we receive is to have one of our patients refer a friend or family member to our practice. That is when we know we are reaching our goal of "Putting Our Patients First." The office was clean and the room temperature was perfect. The entire office environment was really nice. Hardwood floors, warm colors on the walls, very comfortable cushioned seats in the waiting room, reading material available while you wait, tv to watch while you wait, soft music playing in the examination room, and eventhough you’re in an examination room there was still a privacy curtain area in the examination room for you to get undressed. The office is extremely clean. The examination room was excellent. It’s a GYN office. The staff was very courteous. The doctor was caring, courteous, and polite. The visit as a whole was excellent. The staff was excellent. Thank you to the doctor and his staff. Dr Spain is awesomeeeee! I wish I been knew about her. She’s so nice and never rushes you. I was comfortable my very first visit. I recommended my sisters to her because she’s just that good. I’m 27 and she’s the best OBGYN I’ve been to my whole life! ? ?